IAN’s engines are turned on and ready to take off together with the 11th China AirShow, which is about to celebrate its 20 years anniversary, in Zhuhai, Guangdong Province, China. 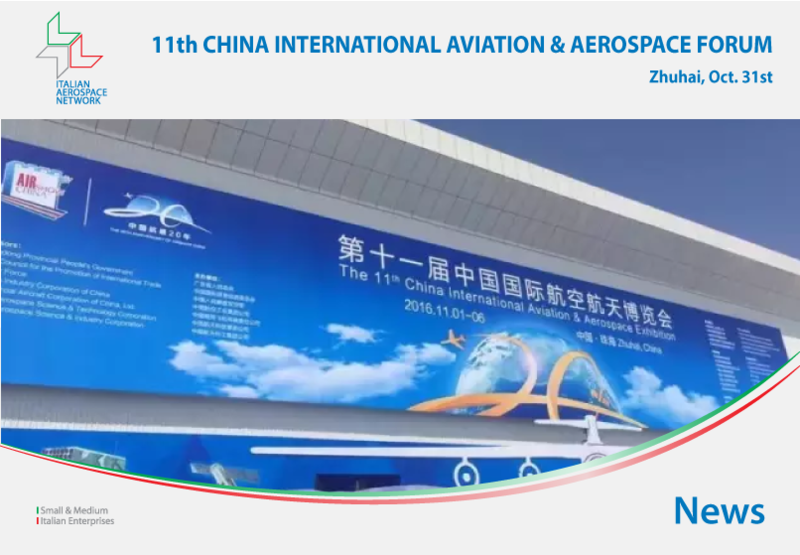 On October 31st 2016 IAN attended the China International Aviation & Aerospace Forum, organized by the State Administration of Science, Technology and Industry for National Defense (SASTIND) and by the China National Space Agency (CNSA). Yanhua Wu, Deputy Director of SASTIND and CNSA, firmly opened the Forum introducing the aviation and aerospace programs lead by China along the “One Belt One Road Program” and the “Going GlobalStrategy”. Shuangchang Yang, Deputy Director of Machinery Industry Department, explained the National strategies to develop joint international cooperation programs, such as the COMAC ARJ21, C919 and future projects. According to Benzheng Li, Vice President of AVIC, the Group has successfully diversified over the years also thanks to the cooperation with universities, research centers, etc. Among the Speakers, Shaoyang Chen, Vice President of AECC; Min Tian, Chief Accountant of COMAC; Jianheng Zhong, Vice President of CASC; Yiyin Wei, Vice President of CASIC and Dengzhou Zhang, Vice President of CETC. Three sub-forums were held in the afternoon, focusing on uav, aviation and aerospace developments and cooperations.